We seek a U.S. commemorative postage stamp that would tell the inspiring story of the American men and women of Japanese heritage who served in the US Army during World War II. They served with great honor despite the internment camps, and despite the intense war hysteria and prejudice directed at them. Read their story below. 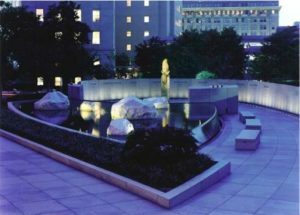 Currently the United States Postmaster General is considering a commemorative stamp proposal that would tell their story through the National Japanese American Memorial to Patriotism During World War II, located in Washington, D.C. (pictured below). The U.S. 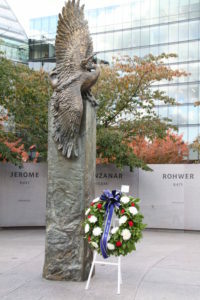 Postal Service prohibits stamps from directly featuring specific groups of servicemen and servicewomen, therefore we support a symbolic honor through a stamp featuring the Memorial. For ways to help, click here. Thank you! This American story begins in 1941. Following the bombing of Pearl Harbor by Japan that year, many people doubted the Nisei’s loyalty just because their parents were from Japan. “Nisei” [pronounced KNEE-say] means ‘second-generation’ Americans born to parents who are from Japan. The Nisei felt compelled to help our nation win the war and show their American loyalty in the face of the war hysteria and prejudice against them. 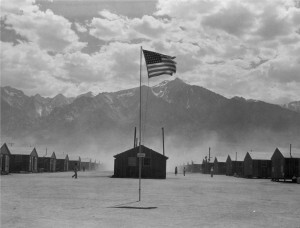 They were among the 120,000 Japanese Americans who were forced into “relocation centers,” or internment camps, when the government feared them just because they looked like the enemy. The suspicion was based on fear, not fact. Two-thirds were American citizens. No evidence of wrongdoing was presented by authorities to justify their detention. They mainly served in segregated units, and their heroics and valor are now legendary. 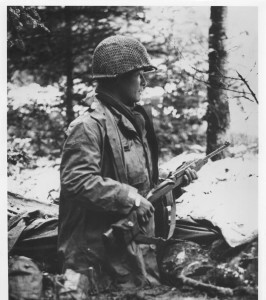 The 100th/442nd Regimental Combat Team would become the most decorated unit of the war for its size and length of service. They earned over 18,000 medals, 9,000 Purple Hearts, and 21 Medals of Honor, in just two years of service. In the war with Japan, they are credited with shortening the war by two years, and founding the US Armed Forces Defense Language Institute (originally called the Military Intelligence Service, or MIS). Nisei women entered the Women’s Army Corps (WAC) and Cadet Nurse Corps. This American story is one of the shining examples of patriotism in our nation’s history. Please help honor them today. Click here to learn how you can help. Thank you! It is just a tiny rectangular piece of paper. People buy stamps less and less each year with the increased use of electronic communication. So what’s the big deal? A commemorative stamp, while small in its dimensions, is huge in its impact. It will be preserved and remembered as an iconic image which will last through the ages. Stamps are still enjoyed and used widely. Most nations, including the US, issue stamps as a symbolic way to remember people, places, events, and other things that are important to the shared history and culture of its people. On a functional level, most people must buy at least some stamps for use on bills, etc. Many people enjoy selecting special stamps to use for important letters, cards, invitations, and packages. Some stamps become personal keepsakes, too. Stamp collecting is still one of the most popular hobbies in the world. Stamps can even be beautiful, miniature works of art. The US Postal Service accepts stamp subject ideas but not any designs or images. The Postal Service reserves the right to decide on the final stamp image. Our stamp subject proposals have been looked at before, and they meet or exceed all posted guidelines for stamp selection. One proposal which is now under consideration at the Postal Service honors the American patriotism of these soldiers. The stamp subject features the National Japanese American Memorial to Patriotism During World War II. 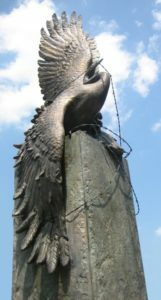 This memorial, shown in the photo above, tells the story of the Nisei soldiers within the overall story of the internment camps. Let’s remember the American Nisei soldiers on a stamp for what they did in service to our nation with utmost valor, in the face of so much adversity abroad and at home. Theirs is a truly inspiring story for America, and the world, that we think people will want to remember a hundred years from now! Click here to learn how you can help. Thank you! Stamp Our Story is the 2016 relaunch of The Nisei World War II Stamp Campaign. This is also called the “founders’ campaign” because it is the original effort begun in 2005. To read about the campaign’s story, go to About Us. They Deserve A Stamp is part of The Nisei World War II Stamp Campaign and functions as a sister campaign working in close collaboration toward the shared goal of the stamp. To view their website, go to TheyDeserveAStamp.org.